You are creative, imaginative, talented and great with details and you just love the romance of weddings… why not become a wedding planner? It is important to remember that wedding planning is a business and in today’s competitive environment, it is a good idea to get a wedding planning qualification, which will not only teach you all the spheres of the wedding planning business, but also teach you time management and how to handle the daily stresses that come with the job. 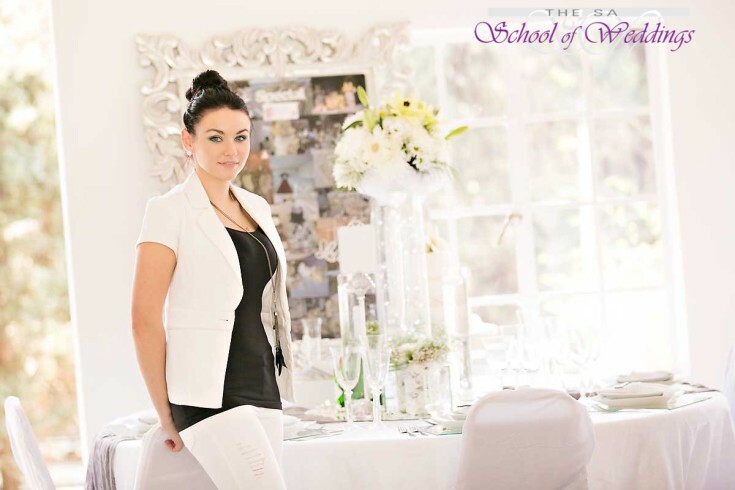 Owner of wedding planning company, The Wedding Specialist, Khali Collins is also the founder of The SA School of Weddings, which offers part-time and full-time courses in Wedding Management and Planning. The school also offers specific courses related to the business, such as a Certificate in Wedding Cake Courses and a Certificate in Event and Wedding Draping and Flower Arranging. What does a wedding planner earn? The salary of a wedding planner will depend on a range of factors, such as qualifications, experience, the location of the wedding, and level of involvement. Experience and education are the primary factors that determine the earnings for a job. Wedding planners with a certificate in wedding management/planning from a reputed wedding planning school, such as The SA School of Weddings, as well as a few years of experience, are more likely to receive a higher salary. The level at which the wedding planner is involved has an influence on the amount of money earned for the job. Most wedding planners have a variety of income streams to supplement their standard rates for actually planning client weddings, such as floral services, décor and linen rental, rehearsal dinner planning, travel arrangements, etc. The beauty of being a wedding planner, unlike most standard salaried jobs, is that it is a job that pays off – what you put in, you get out – and you are in total control of what you take home at the end of every day.